Whether you are new to genealogy or a long-time researcher, we can help you learn more about several topics related to family history. During our seminars, participants learn about available resources and how to conduct research in one of several geographical areas, such as Quebec, other parts of Canada, the United States, England, Ireland, Scotland, Wales, and France, as well as military research. These all-day seminars at our Library usually focus on one in-depth subject. 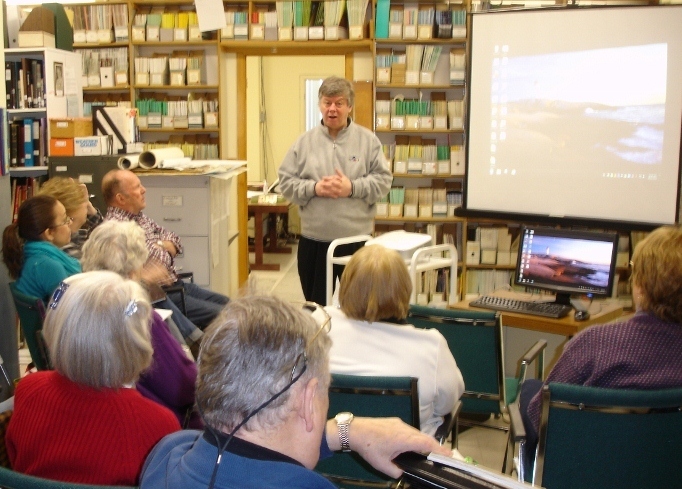 Past seminars have covered specialized topics such as photography, care and preservation of historical documents, documenting genealogical resources, using computers for genealogical research, how to use the best genealogical software programs, Quebec land and notarial records, and how to use the Internet for family history research. Our members receive a discount on seminar fees. Visit Events for details on upcoming seminars.